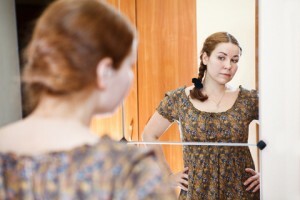 One of the most important discoveries of the 20th century is acknowledging the powerful influence of self-image. Self-image determines action. If we see ourselves as a a victim we’ll be victimised, if we see ourselves as a failure we will fail, if we see ourselves as dumb we will under-perform. And when the self-fulfilling prophecy comes to pass it is paradoxically welcomed as it’s strengthens and supports the deeply latent self-image and continues to add fuel to the destructive mental fire – burning down a persons chance of genuine contentment, happiness and enjoyment of life. Most people spend so much time trying to change the perceived external aspects causing persistent negative feelings: get more friends, be smarter, be more good looking, eat more, get a better job. Often we spend so long becoming more stressed, depressed and frustrated at the enormous effort reaping meager dividends. Life becomes too hard, what we seem to want we can never seem to obtain, frustration and lead to further depression and giving up. Here’s the brilliant part. Change the self-image and what you want changed can be done automatically! In Podcast 1 CBT, we looked at the importance of meta-thinking, that is thinking about our own thinking, stepping back at looking at a bigger picture. These processes are very helpful when in depression as the depressed mind is unhealthily skewed toward obsessive analytical rumination on specific events, people, past or projected future events. Changing self image is similar to employing meta-thinking. It’s important to note that I’ve met with lots of depressed people who try and use positive thinking techniques and beat themselves up against a wall, not knowing why these techniques are not ‘sinking in’. If a negative self image is still underlying many attempts at positive thinking are unfortunately done in vain. I came across an article five years ago which was about changing self image, it was by Maxwell Maltz and it really made a lot of sense. It focuses on how your perceive yourself and that vital relationship which is the most important relationship to mend when trying to beat depression. For many years I struggled in school and sank into persistent mediocre grades. I was a poor student and an incapable learner. I learnt from this article that I needed to change this perception, was I was able to change this perceptions and view myself as a person who is able to learn and thrive my results started to change profoundly. Changing self-image begins by realising you have a self-image and it can be changed. I hope this article is able to impart this truth to some readers. How does one actually change it? It’s different for different people, but realise it can be changed and when it does get changed for the better depression radically starts to reduce. See links below for some more information. In my own journey I discovered faith in God and realised that we are made in His image, I personally found this to be the most powerful channel to correct my very faulty self image. This piece was inspired by the article I read in a mental health analogy which borrowed from this book, (don’t be put off with how old and 60’s looking the cover is). It’s a powerhouse of a book and imparted some very telling truths in my own journey out of depression. While generally I’m not a fan of large parts of the self help movement, there are contributions which simply can’t be ignored as they speak a lot of truth and can powerfully change peoples lives with new understanding of their problems.